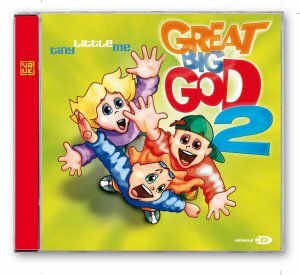 Great Big God 2 Tiny Little Me is the second release from the UK Vineyard, giving us a rich collection of new songs designed especially for children. Great Big God 2 Cd by Various is published by Essential Christian and is our 7671st best seller. The ISBN for Great Big God 2 Cd is 6573300303125. Be the first to review Great Big God 2 Cd! Got a question? No problem! Just click here to ask us about Great Big God 2 Cd. Now Playing: Track 1 Your browser does not support the audio element.